​Meet Callie, our newest, spunkiest addition to Summit Dog Rescue! Callie is originally from Arkansas and already loves her new, beautiful state of Colorado! Callie enjoys playing with dogs, hiking, learning new things and meeting new people. This speckled beauty is about 9 months old, 28 lbs, spayed and up to date on shots. Callie is learning basic commands and is excited to be training with her foster mom! 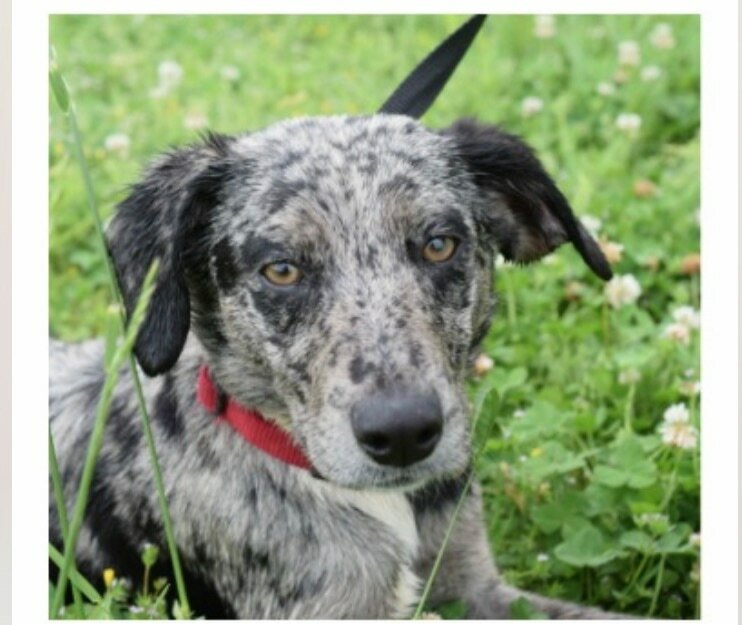 Callie is a Catahoula Leopard Dog & Australian Shepherd Mix. True to her breed mix, Callie is active and will need an active family to become her own. Callie has other dogs and a cat in her foster home, as well as two human girls to play with. Callie is a gregarious love muffin! For more information, go to the top toolbar, click Adopt, click Dog Application, fill it out and send it in. A volunteer from Summit Dog Rescue will get back to you as soon as they can.